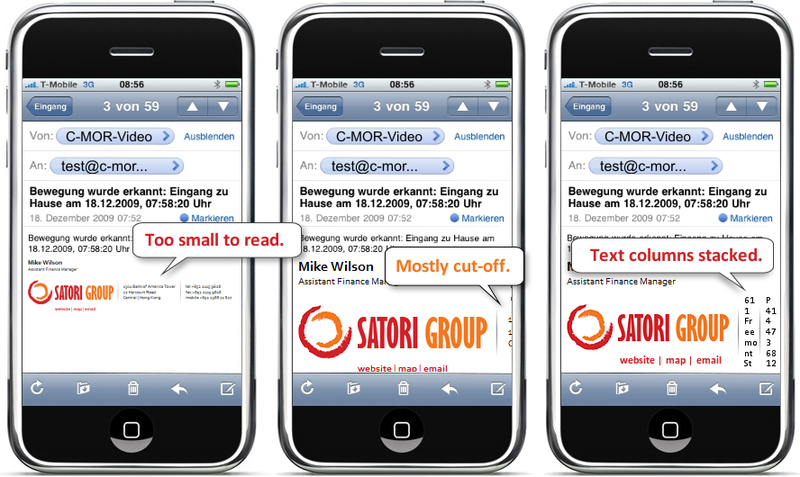 Assessing the content requirements and arriving at the optimal layout is always step-one in email signature design. 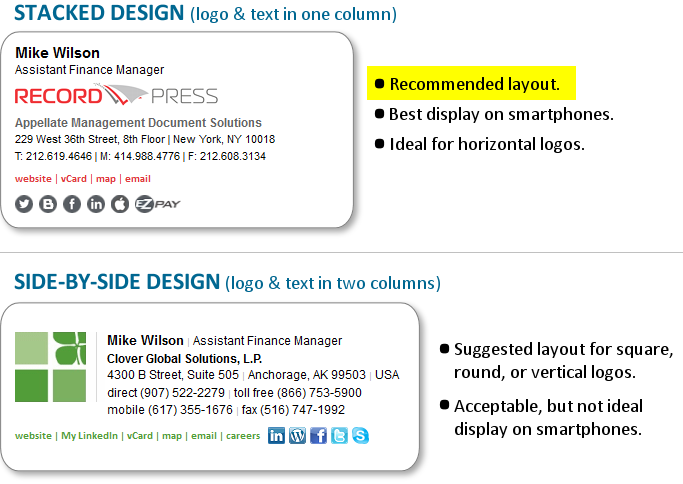 For text & logo business email signatures, the “stacked” design is always the best option, with a “side-by-side” design making sense for some logo shapes. Step-two is then the HTML coding, which, despite the apparent simplicity of email signatures, is always truly a job best left to an expert.